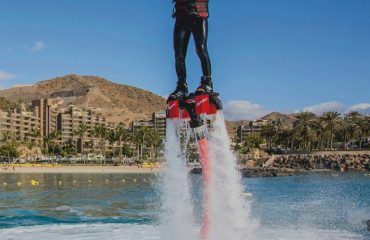 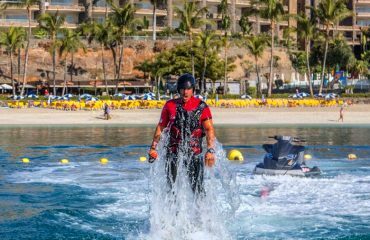 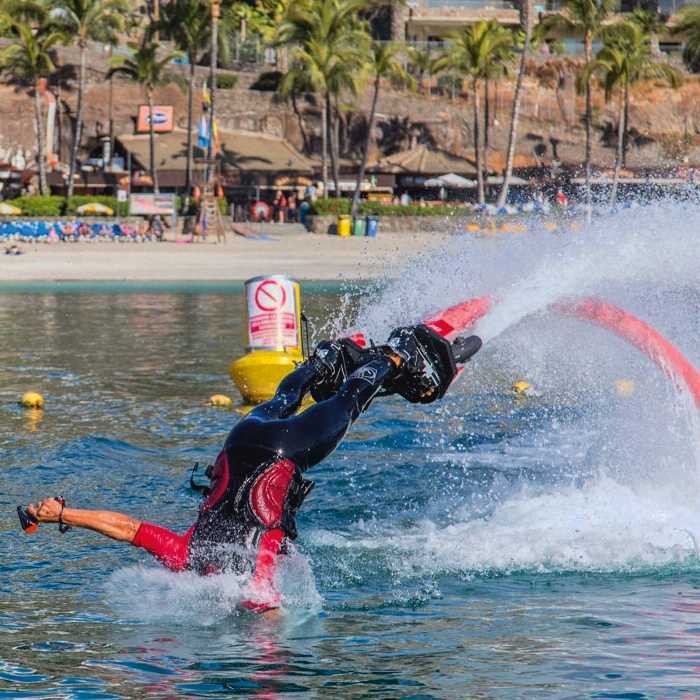 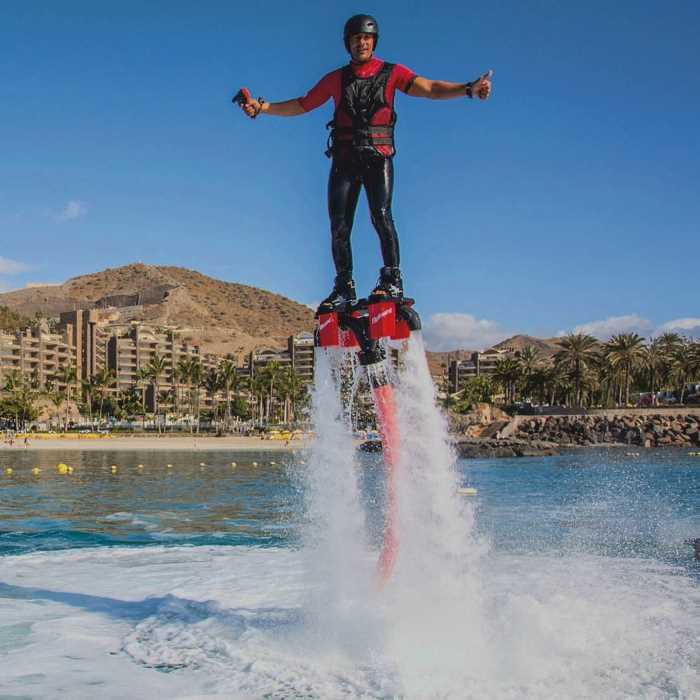 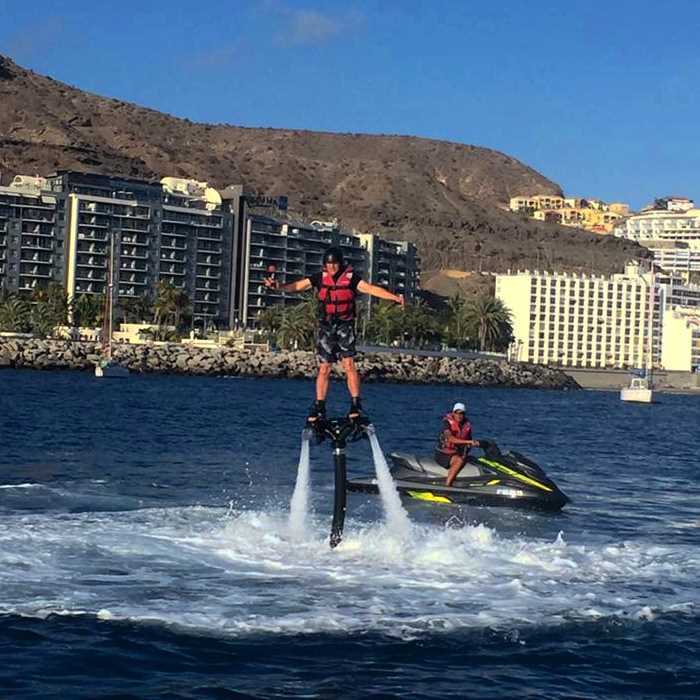 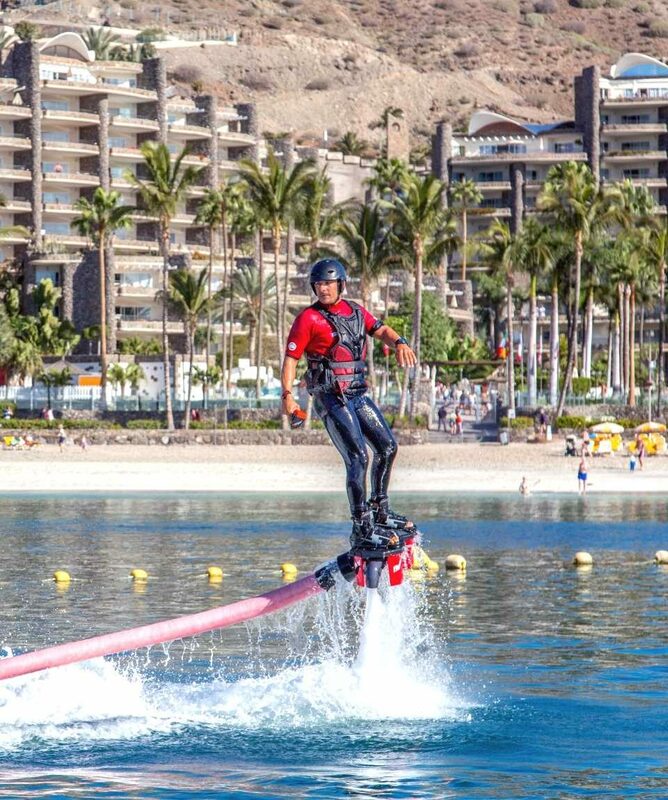 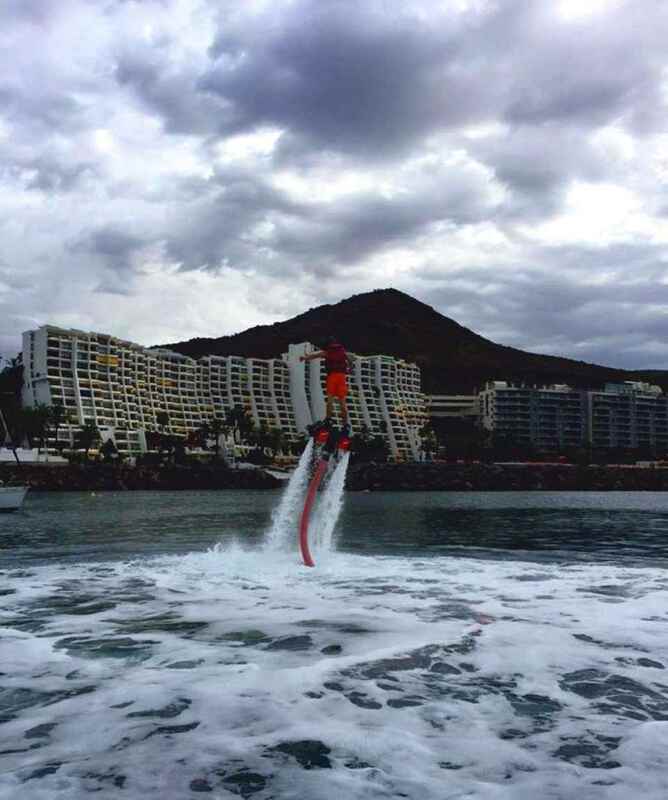 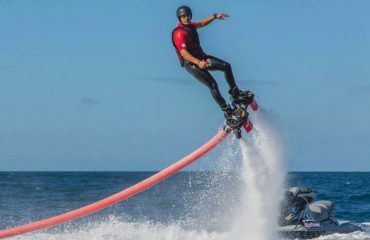 15 minutes: € 60,00 p. p.
20 minutes: € 75,00 p. p.
30 minutes: € 90,00 p. p.
The Flyboard is the absolutely fantastic among the water sports activities here on Gran Canaria! 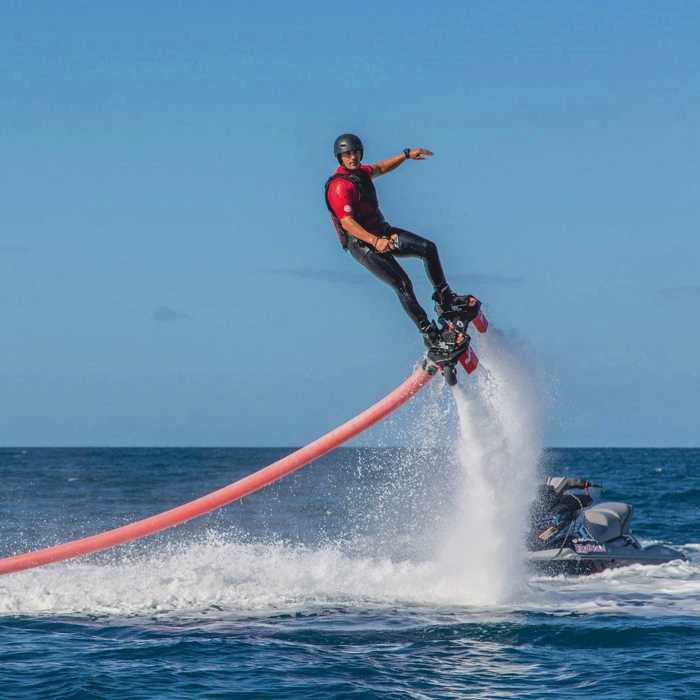 Imagine getting a board with extremely powerful nozzles under your feet, from which water flows with enormous force. 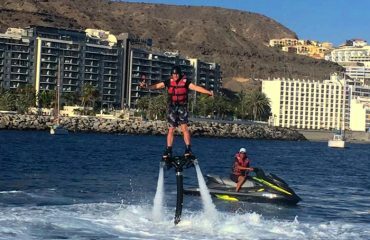 Through the erroneous rebound, you rise a few meters above the water high into the air, where you are even able hold yourself for a while. 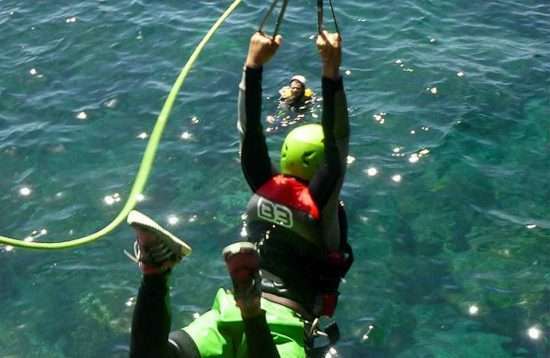 An absolute incredible feeling, that you must have experienced yourself, in order to be able to understand it. 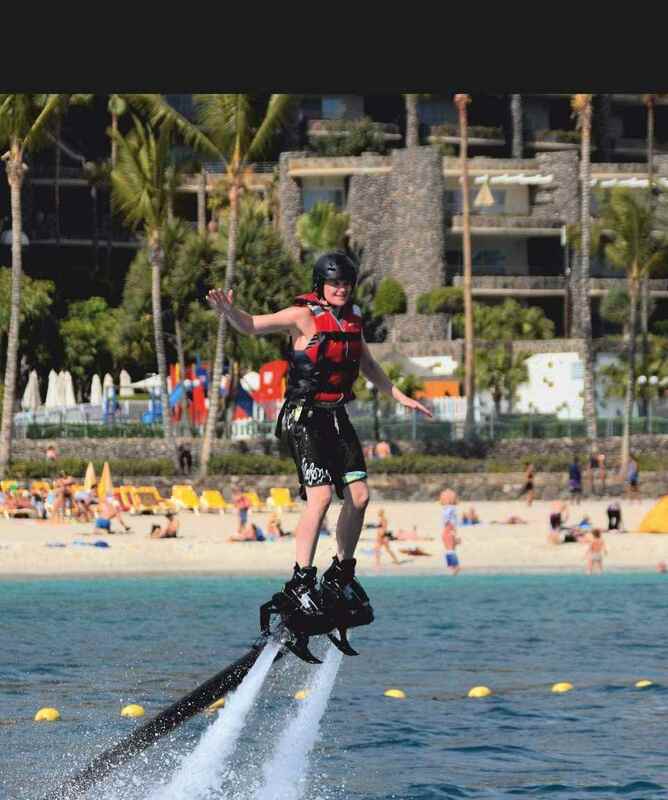 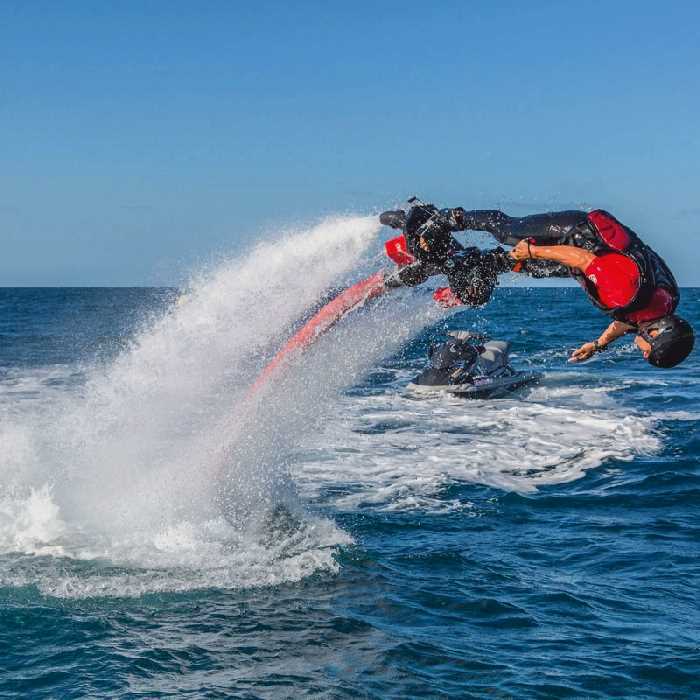 The ease of use of the Flyboard allows beginners to quickly start making tricks. 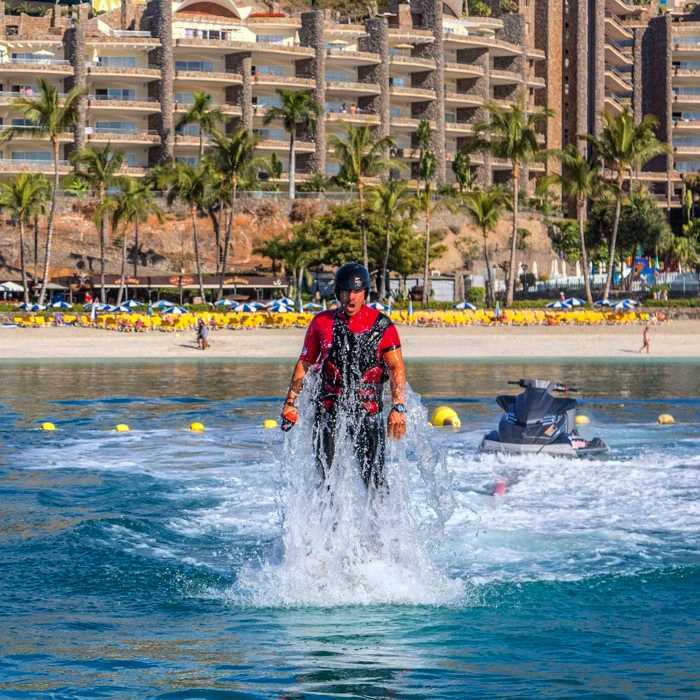 Emerge of the water like a superhero and immerse again like a dolphin. 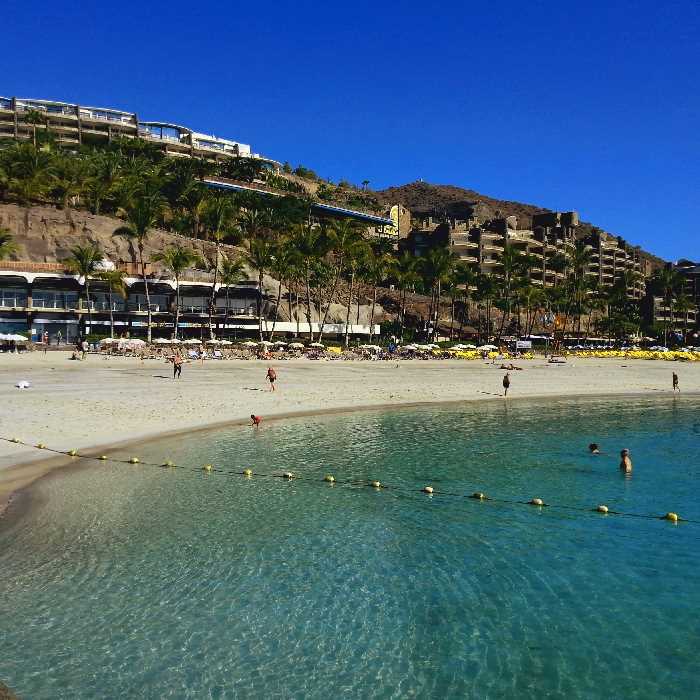 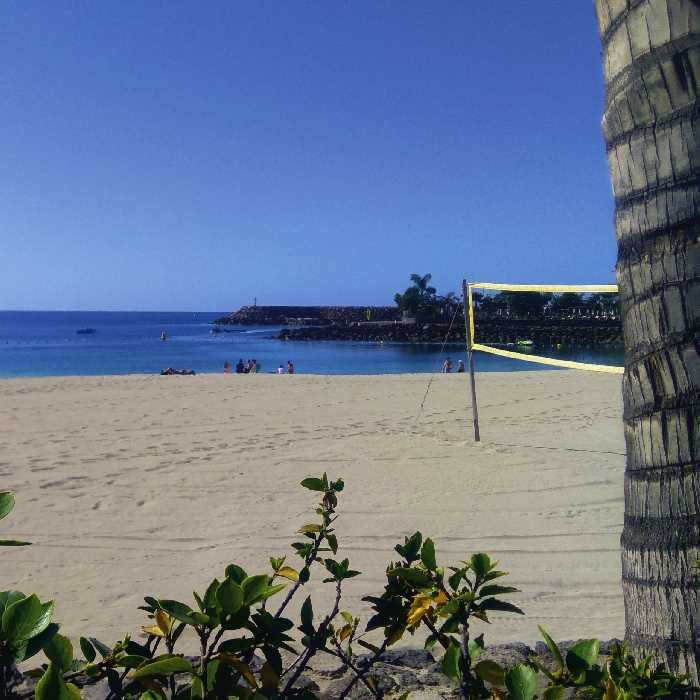 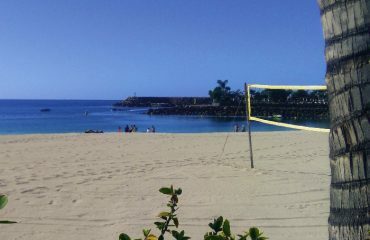 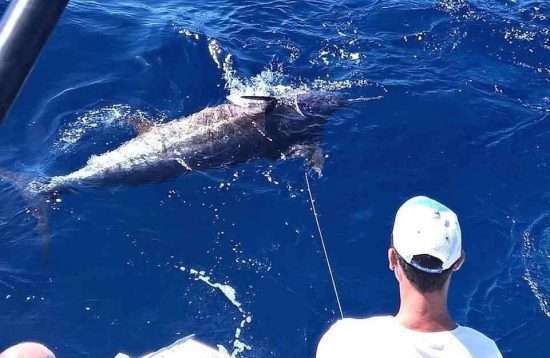 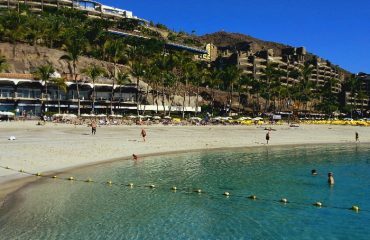 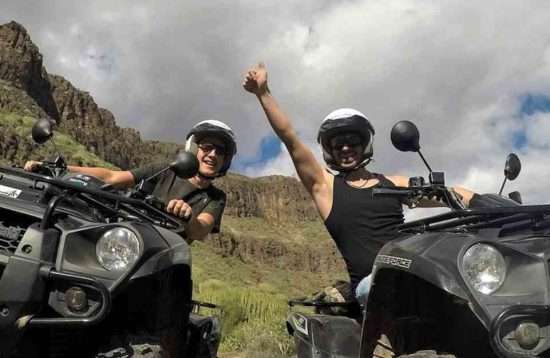 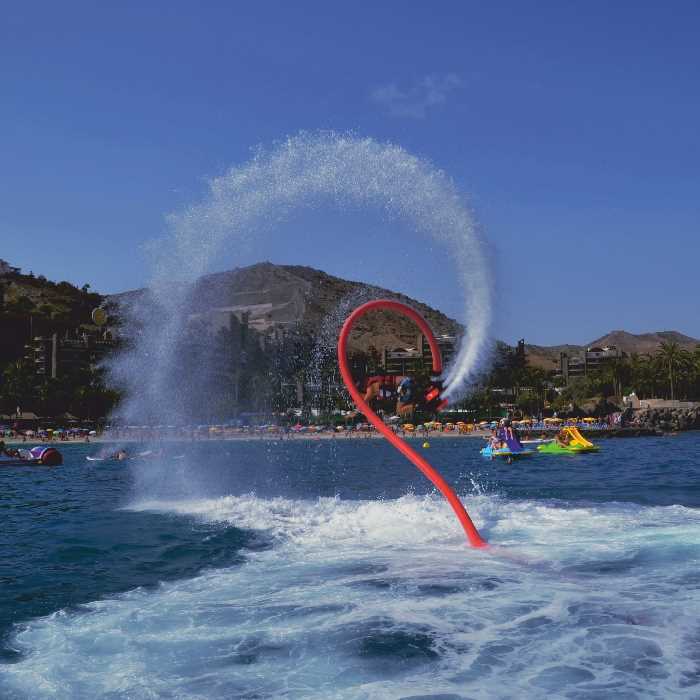 This is the ultimate Adrenalin kick during your Gran Canaria holiday! 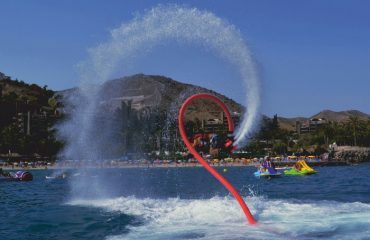 At the beginning, you will get a full instruction by the trained staff. 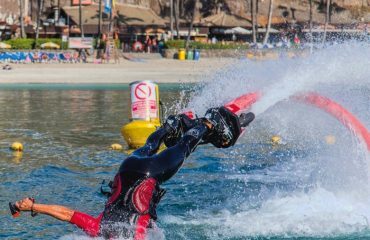 All safety measures are taken according to the regulations. 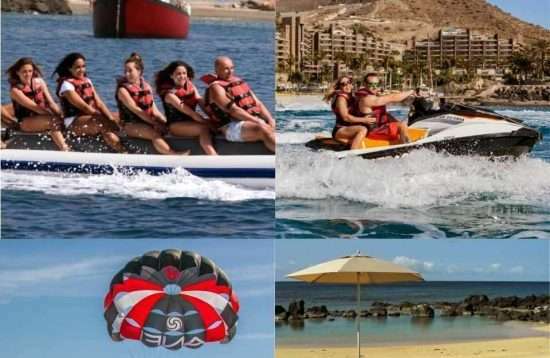 Lifejackets, etc. 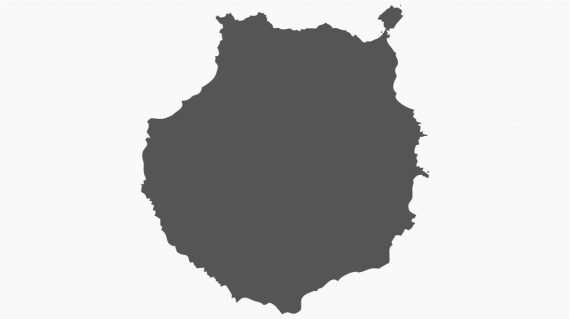 will of course be provided.